A distinct group of business leaders stand out from the rest on the Treasure Coast. They have made a big economic impact, showing that the entrepreneurial spirit is alive and well in our region. Indian River State College celebrates their accomplishments through the entrepreneur of the year award program. Now entering its 20th year, the annual event recognizes one outstanding business leader who exemplifies exceptional commitment to the free enterprise system. Past recipients have records of business excellence, tremendous community involvement and strong leadership skills. Roy Lambert, an entrepreneur from Vero Beach, approached Dr. Ed Massey, president of IRSC, wanting to create an event that promoted entrepreneurship on the Treasure Coast. His idea was to recognize established business leaders in hopes of also inspiring budding entrepreneurs. Recipients are nominated by an advisory group as well as the general public. The nominees are carefully reviewed and selected by a panel at IRSC. Dan K. Richardson, a Florida citrus leader of Vero Beach, received the first entrepreneur award in 2000. 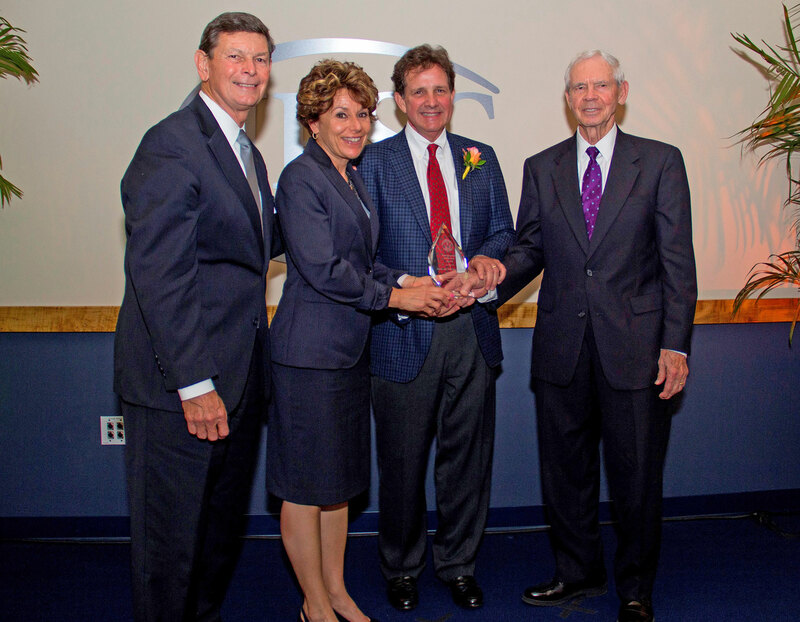 As chairman of Gracewood Fruit Co., he was honored for his business acumen and vision. He was also remembered as a notable community philanthropist whose family foundation benefited many causes. The awards ceremony includes a cocktail reception and dinner centered around the guest of honor. Most ceremonies are theme-based, decorated creatively with the recipient’s business in mind. Family members, business associates and community leaders share their stories of the honoree, colored with humor and heart-warming memories. The upcoming awards ceremony promises to be another special evening paying tribute to an exceptional entrepreneur. The event will take place on March 7 at the Dan K. Richardson Center in Vero Beach. Proceeds will benefit the Dan K. Richardson Entrepreneurship Program Endowment. Shop in a major chain grocery store and you will find one of the hottest-selling juice products on the market today. Natalie’s Orchid Island Juice Company produces high-quality, fresh-squeezed juice in many varieties and has no additives or preservatives. The award-winning juice is widely known for being delicious and promoting good health. The Fort Pierce based-company was founded in 1989 by Marygrace and Bobby Sexton, who were the 16th recipients of the IRSC Entrepreneur Award. Bobby birthed the idea for the business while earning a master’s degree in finance at the University of Florida. The Sextons are perhaps the most nationally and internationally known of the Entrepreneur of the Year recipients in the 20-year history of the program. Bobby is a fourth-generation citrus man and grandson of citrus pioneer and developer Waldo Sexton. After graduating, he returned home to Vero Beach to work in the family’s citrus packinghouse business. He never lost sight of his dream. He wanted to create something different, something special. It wasn’t until after he married Marygrace that his idea came to fruition. 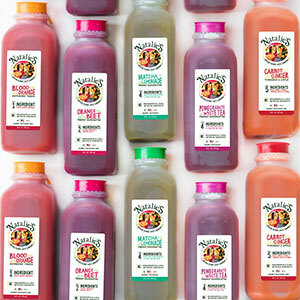 The couple has different skill sets, a perfect blend for their juice company. Bobby has the know-how in finance and citrus that he learned firsthand from his father and grandfather. Marygrace has the attention for detail that makes her ideal to oversee the business operations. Many, however, did not share the Sextons’ vision when they decided to launch their business. The entrepreneurs did not get the encouraging feedback that they were hoping to hear. But the naysayers didn’t stop these young entrepreneurs. With grit and determination, they moved full steam ahead. Still, it wasn’t easy. Their daughter, Natalie, who the company is named after, was a baby at that time. Marygrace recalls many late nights working while Natalie slept in her car seat nearby on the counter and the juice was being squeezed at their 1,000-square-foot plant. Bobby also remembers driving to the juice plant after 11 most nights to check refrigerator trucks during those early years. Sometimes, Marygrace would spend the night at the plant to stay on top of operations. “It was just our life. You do what you have to do,” says Bobby. But their hard work eventually paid off. Their product took hold as news about it spread. By 1996, they expanded their operations to the former Dandee Bakery, a 76,000-square-foot building in Fort Pierce. Over time, their fresh-squeezed juice was stocked on shelves at Publix, Whole Foods, The Fresh Market and other leading food chains nationwide. Another production facility is opening in Fort Pierce to keep up with demand. Their company is on the road to success. Marygrace also advises to be conservative with spending and to avoid getting into debt. “If you don’t have debt, then you’re only answering to yourself,” she says. Today, their daughter, Natalie, has grown up to become the vice president of marketing for Orchid Island Juice Company. The company has an international presence selling 22 juice varieties, including citrus, exotic, vegetable and gourmet teas in 42 different countries. Looking back over the last 30 years, the Sextons feel blessed by God for the company they created. They express gratitude for the support of Marygrace’s brothers who helped them achieve their dream. They are also thankful for their employees and customers who enjoy drinking fresh-squeezed juice that comes from the state’s best fruit. And it all started with an amazing idea.